Otis Street Arts Project has a new exhibit – titled “The Wall”, curated by Molly Ruppert. The show’s premise is to examine concepts invoked by President Trumps desire for a “great big beaurtiful wall” to be installed at the United States southern border. The curator asked the invited artists (Claudia Vess, Ellyn Weiss, Erwin Timmers, Gregg Hannan, Glenn Richardson, Jacqui Crocetta, Scott Brooks, Wayson Jones,Yar Koporulin, Paul Hrusa and Hebron Chism) for their take on the subject. 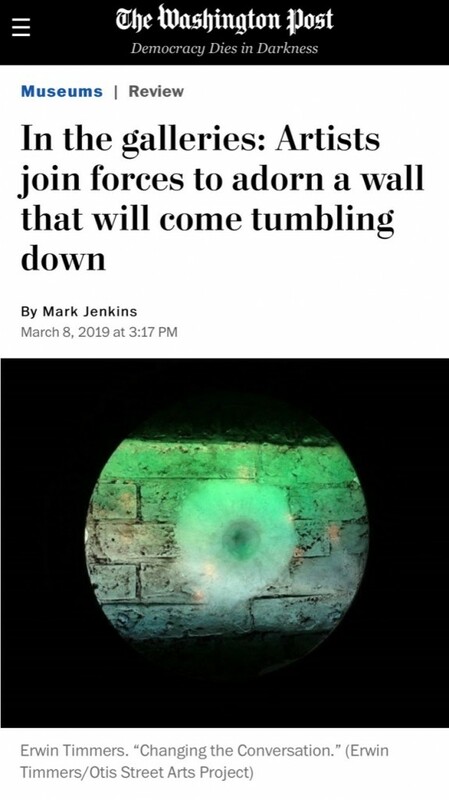 Washington Post Arts Critic, Mark Jenkins has a review in the weekend’s Arts Section, with an ebullient review of Erwin Timmers’ featured work “Changing the Conversation”. This Saturday, March 9th, there will be an event tied to the exhibit - Come view the show, hear the curator speak, and have some therapeutic wall smashing of “wall” created by artist Glenn Richardson. Doors open at 7pm; Curator talk by Molly Rupert 8:00 PM; Wall Smashing 8:30 PM. Otis Street Arts Project, 3706 Otis Street, Mt Rainier. Get Ready For Spring Gateway Open Studio! ​Welcome to the DMV region’s largest-of-its-kind arts celebration and festival—Gateway Open Studios Tour. Come to the Washington Glass School and see what the artists and instructors have been working on! 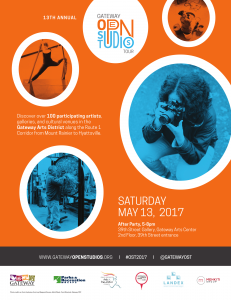 Come to the Spring 2017 Gateway Open Studio where you’ll have behind-the-scenes access to studios, galleries, cultural centers, and performance spaces throughout the Gateway Arts District in Prince George’s County! Besides the Washington Glass School – other studios will be open, including Otis Street Arts Projects, White Point Studio, Jackson Jarvis Studios, Orange Door Studios, as well as the studios of Alonzo Davis, Robert Devers, Alec Simpson and more! 2017 marks Washington Glass School’s 16th birthday – and there will be lots to see! “The Critiqued” @ Otis Street Arts Project Exhibit and 1st Anniversary Celebration! On Saturday April 2, next door studio Otis Street Arts Project will be celebrating their one year anniversary with a special exhibit and afterparty. “The Critiqued” is an exhibition of 13 artist that have participated in the series of formal critical discussions of invited artists led by a DC area arts professionals. The evening will begin with a reception for the opening of The Critiqued, an exhibition of 13 artists who have participated in The Critique, a quasi-monthly series produced by Otis Street Arts Project. For this exhibit, the invited artists will each be showing one piece each that reflects the conversations pertaining to their works. This special exhibit illustrates the growing arts community and inclusiveness of the Gateway Arts District and Otis Street Arts Project’s community building. The night will continue with a dance party featuring DJ New spinning an eclectic mix from Go-Go to New Orleans Brass Bands to House grooves. Otis Street Arts Project has had an exciting year of events, exhibitions and art making. Founded in Spring of 2015, they have opened their doors to tour groups, student groups, bands, DJ’s, art critics, artists, art collectors, and the general public. For their one year anniversary, they are throwing open their doors to the public for a fantastic evening of Visual Art, Performance Art, and Music. Come and celebrate with Otis Street Arts Project and the talented Artists in this exciting invitational exhibit. Reception 5:00-7:00; Performance 7:00; Music 8:00 onward. 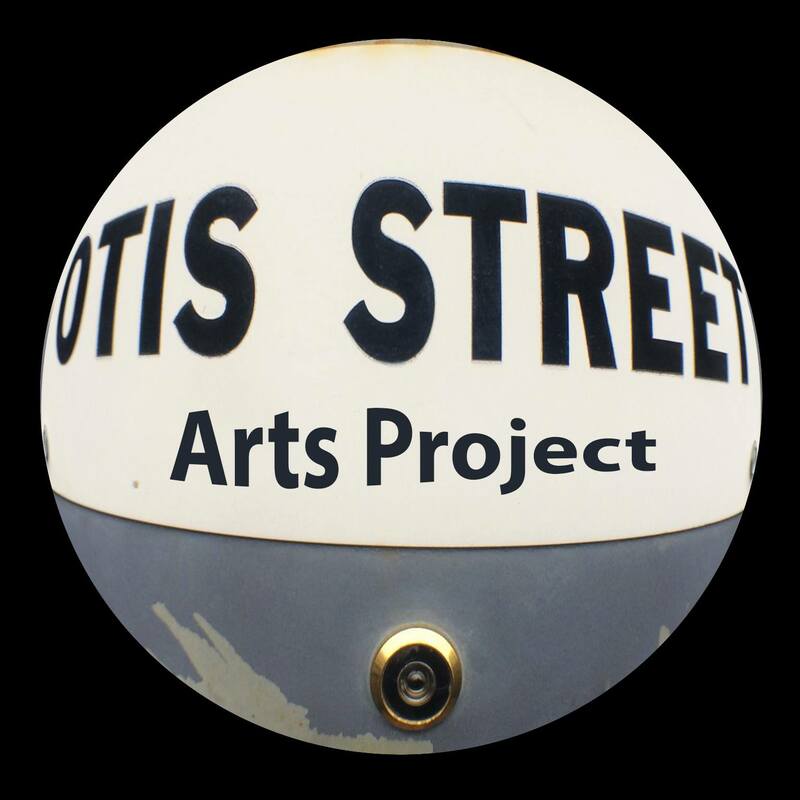 A Big Warm Welcome to Otis Street Arts Project! 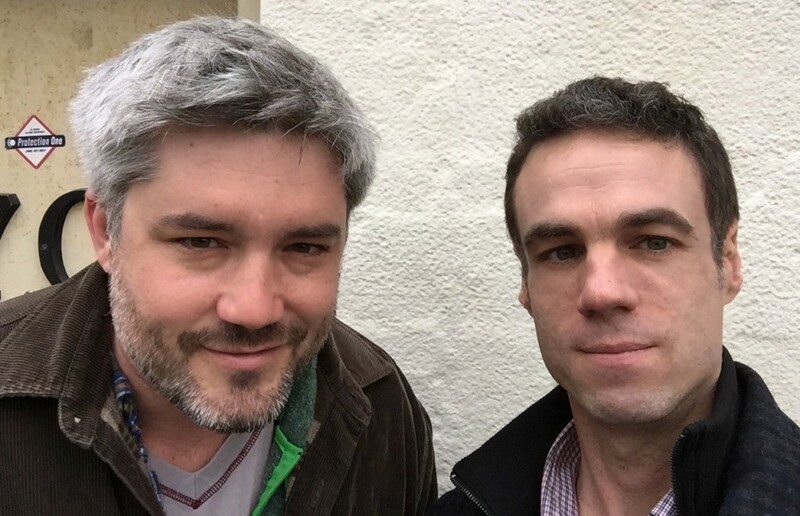 Founded by artists Sean Hennessey and David Mordini, Otis Street Arts Project, LLC prepares for the move into the studio spaces adjacent to the Washington Glass Studio. As Margaret Boozer’s Red Dirt Studios relocates to the renovated Firehouse, Sean and David prepare the space for their new studio venture. Otis Street Arts Project is a Center for Material Studies located within the “Artists by the Tracks” section of the Gateway Arts District. 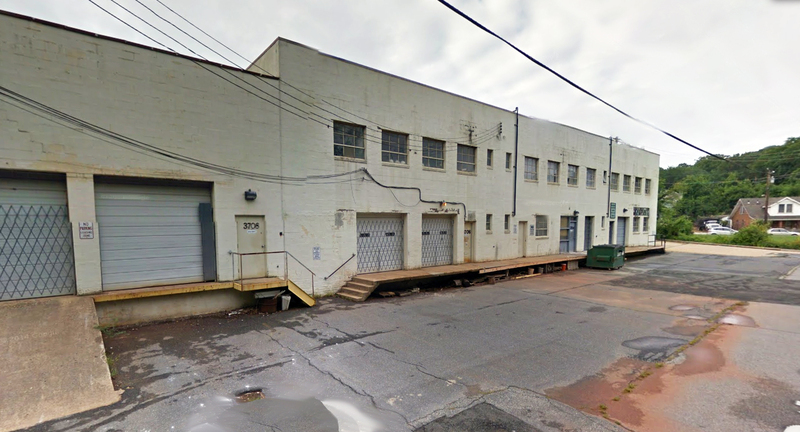 Otis Street Arts Project has 12 studio spaces for artists working in a variety of media. There will be space for small and experimental exhibition, performances, guest artist presentations, and group discussions. Otis St artists currently include noted DC area artists including: Sean Hennessey, David Mordini, Matthew Duffy, Alma Sellmovic, Gloria Chapa, and Hebron Chism. The studio is being readied for artists to move in during the month of April, with a grand opening of the studio scheduled to be part of the Gateway Arts District’s May Open Studios on May 9th, 2015. Otis Street Arts Project still has space available for artists - email Otisstreetartsproject@gmail.com for more information.